The US Army’s public website has been compromised and the Syrian Electronic Army is taking credit for the hack, reports CNN. The site went down on Monday afternoon and displayed messages like ‘You’ve been hacked’ and ‘Your commanders admit they are training the people they have sent you to die fighting’. 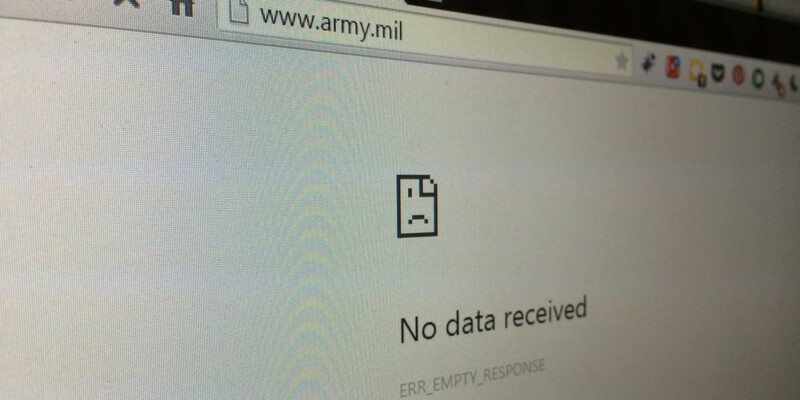 However, the Army claims no data has been exposed to the hackers. The Syrian Electronic Army claimed responsibility with a message on Twitter that included a screenshot of the US Army site, hosted at army.mil. The site is currently inaccessible. This isn’t nearly the Syrian Electronic Army’s first attack on organizations in the US. The pro-Assad regime hacking group has previously breached the systems of the Chicago Tribune and the Associated Press. It also took down The New York Times in 2013. We’ve contacted the US Army to find out more and will update this post when we hear back.